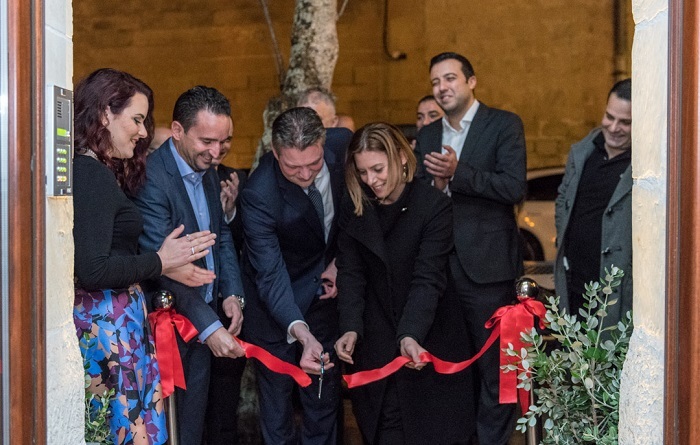 Gozo Minister Justyne Caruana and Tourism Minister Konrad Mizzi officially inaugurated the Quaint Boutique Hotel, which is situated in the picturesque village of Sannat. Ta’ Sannat hotel includes 13 rooms, while in all this chain of projects will be adding 47 new accommodations in Gozo. Plans are also in hand for the increase of another four similar hotels in the future. During the inauguration of the hotel, Gozo Minister Caruana said that the Government’s aim is to continue to create a just environment to attract more private investment which is also sustainable. Minister Caruana added that efforts are continuing for the improvement of the island’s infrastructure which complements with the private investment. Among ambitious projects, she mentioned the regeneration of two main squares and that discussions will start of the regeneration of the Ta’ Sannat square. Tourism Minister Konrad Mizzi said that in the light of the increase in tourist arrivals during recent years, the Government is committed to offer a Maltese quality product so that Malta continues to offer positive experiences to tourists.